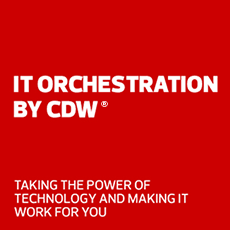 Fujitsu and CDW deliver innovative technology to capably answer the demands of business, government, healthcare and education. Professional Fujitsu devices are designed to match a human-centric workplace. Choose Fujitsu for thoughtful technology that saves time, increases security and expands your possibilities. The fi-7300NX is built off of the popular fi-7160 scanning platform, and adds a large, easy-to-use touchscreen and Wi-Fi enabled scanning. Automatic feeding and a large flatbed allow for greater back office efficiency and high-quality scans. Browse customer favorites such as Fujitsu Lifebook models and the Stylistic Q738 and U938 series — flexible options to get you through your work day if you're in an office, coffee shop or on the road. Hear why BTCO employment services turned to Fujitsu scanning solutions to increase efficiency. See how Care Ambulance installed Fujitsu network scanners to quickly collect important paperwork. Read about how ARB solved document storage problems with Fujitsu's bundled scanner and software solution.